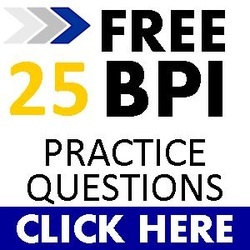 Combustion appliance venting is a building code required to vent combustion gases outside. 80% furnaces use a small fan to force combustion gases through a double wall flue pipe and to the outside. Energy auditors should inspect that the flue pipe has been attached properly without gaps and the flue pipe is run outside. 90% furnaces are more efficient at removing gases caused by incomplete combustion and the gases are not as hot as gases from an 80% furnace. That is why 90% furnaces can use PVC pipe as their combustion vents, vented directly outside the home. (Do not drill holes into these pipes for combustion testing). 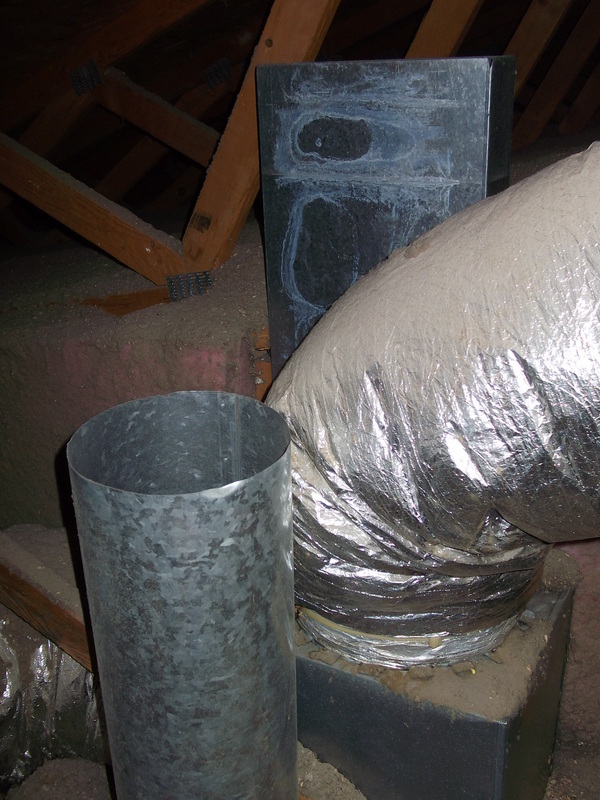 Flue pipes on water heaters should be aligned correctly and terminating outside the home and attic space. 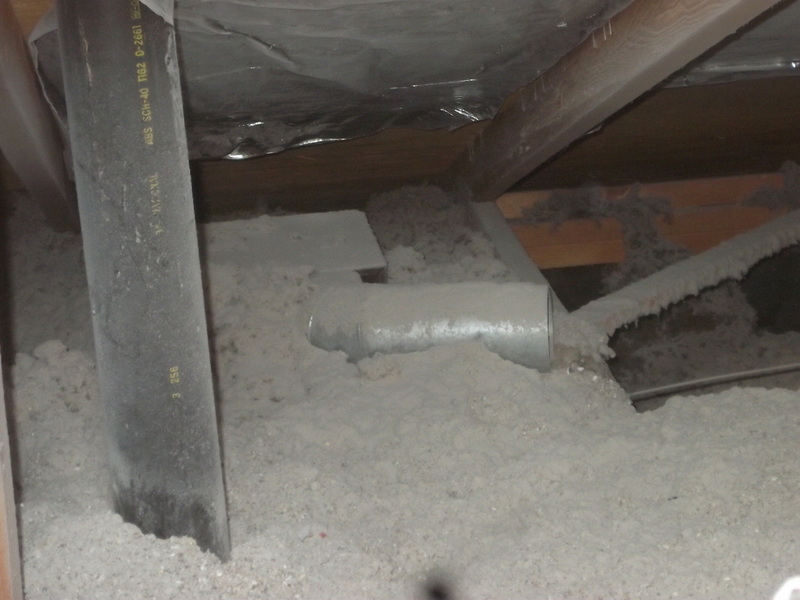 As energy auditors we need to be on the lookout for misaligned flue pipes, horizontal flue pipes, pipes with more than two 90 degree bends and pipe terminating the attic space (less common). Combustion vents need to be installed in the CAZ of the water heater room. If the water heater is in a garage or exterior utility closet, a high-low vent should be installed 12" from the ceiling and ground. The vents are commonly stamped faced, single directional curve blade vents cut into the exterior wall or door. I have found one home where only the high vent was installed. 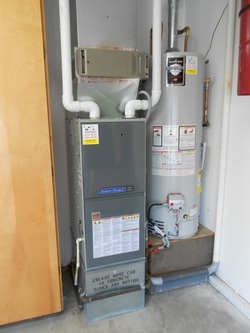 If a gas water heater is in a closet inside the home, high-low ventilation is also required but the low vent is commonly in the closet door and the high vent is cut into the drywall leading to the attic space. Do not cover or seal these vents if the water heater is not upgraded to a power vent or if the water heater is remaining. It is possible to seal the low vent in the door, then install a new vent in the closet ceiling with a metal duct leading down to 12" from the closet floor. This way you are able to weatherstrip and seal the closet door better to separate the house from the closet. A view of the high-low vents from an interior closet combustion appliance. Power vented water heaters do not have an accessible draft diverter because they have a small vent that forces combustion air through the pipe, unlike natural draft appliances that rely on the hot combustion gases to naturally go through the draft pipes. Exhaust fan ventilation is supposed to direct moisture outside the attic space, not terminate in the attic, which sometimes happens. Unfortunately sometimes the same error occurs with other types of spot ventilation also. 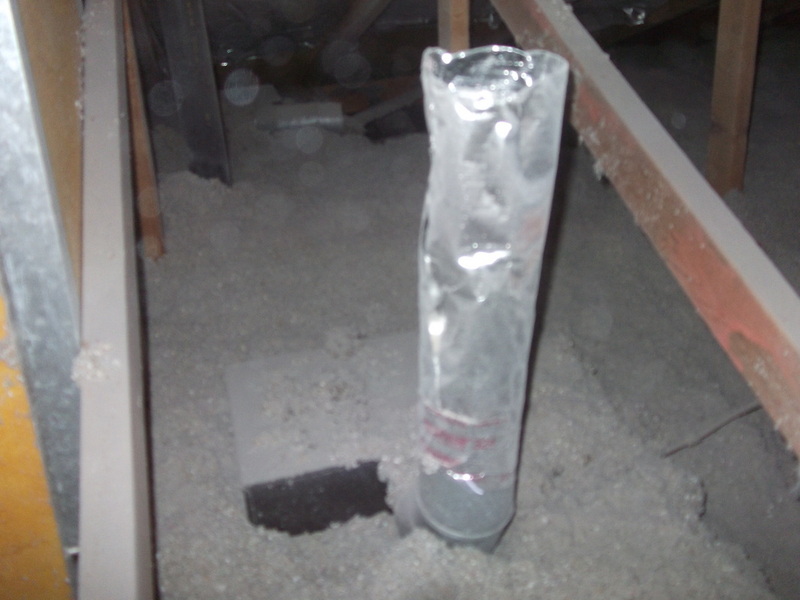 As energy auditors we should be on the look out for exhaust vents terminating in the attic space. 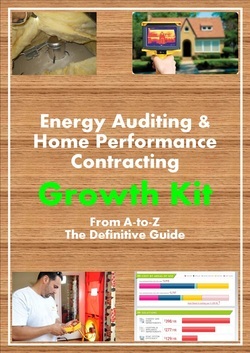 It could lead to a moisture build up, rot and mold. Alternatively, spot ventilation is run in the wall cavity and terminated on an exterior wall.